Week Number Seventy Five (June 22, 2006) HAPPY SUMMER! The warm weather and the announcement on the radio this morning that summer had arrived clued me that it is time to put my Kenny Hill guitar in summer storage and go back to my lacquer-finished 29 year old Hauser copy. Yeah, I like the Hill better, but I sweat like a... Well, anyway, the warmth and the guitar reminded me of an afternoon wedding cocktail hour I played back in 1988. 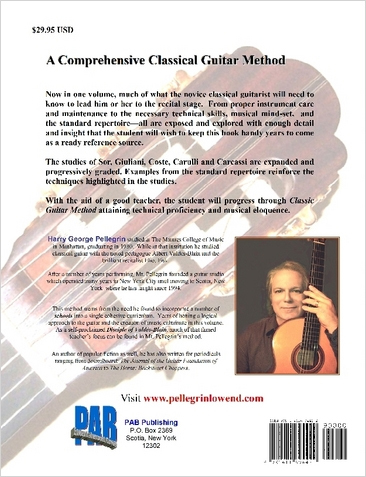 It isn't an overly fond memory, but it taught me something about how to be a working classical guitar player. I'll share this lesson with you. Way back in the summer of 1988, I was working a 60 hour a week day job and, as you'd surmise, not getting gobs of practice time. I had taken the past year off from gigging but was coaxed out of retirement by the marriage of a friend who requested that I play her wedding. With not much time for preparation, I dug back through my stacks of music and retrieved all the relatively simple stuff I could find and managed to knit together a program gleaned from what you'd probably call the 'encore repertoire' --stuff like Leyenda and Recuerdos de la Alhambra and the delightful Four Venezuelan Waltzes by Antonio Lauro. The day came and I performed in the air-conditioned church with great aplomb (and no, they didn't go down the aisle to Leyenda!) The cocktail hour was on a lovely scenic porch of a historic restaurant in Upper Westchester county, and there I sat with my guitar, a contact microphone and a Fender Twin Reverb amp. In 85 degree temps. In a suit. Suffice it to say that sweat was soon running down my forehead, into my eyes, burning them and throwing off my concentration and eyesight. Here's what I learned. Without dots on the side of the fingerboard one needs other landmarks-- and without counting fret wires, it's tough. Here's what I do now every time I start this piece (I still use it.) I place my fourth finger on the d two frets below the box joint. (This is the third note of the piece anyway and is good planting/preparation.) My hand naturally falls into the barre on the seventh fret. Can't miss no matter how sweaty, preoccupied or rattled I am. There are many pieces where one must find a precise location on the neck without a solid landmark. Look at the music and see if there is a 'starting point' like I found in the waltz. Either that or start figuring improvistorial ways to get around a wrong note/chord! You just know that when you're in front of a crowd, something will go wrong. And never frown or shake your head. If anything, smile or look intense. Don't ever let them see you've made a mistake. Bravado can carry the day! Here's a recording of me playing Waltz Number 2 about a month later.